Premier Magnesia, LLC is a global market leader in magnesia-based products and solutions for dozens of applications ranging from agricultural to industrial and environmental markets. We are one of the world`s principal manufacturers and suppliers of high purity calcined magnesium oxide and magnesium hydroxide products. For over 50 years, the Company and its predecessors have owned and operated a magnesia mine and processing plant located in Gabbs, Nevada that will continue to offer the only domestically-mined source of magnesia ore in the United States well into the future. Our Giles Chemical Division is the largest producer of magnesium sulfate, commonly known as Epsom Salt, in North America. 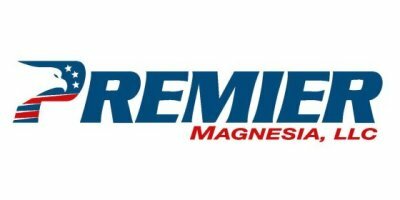 Premier Magnesia and Giles Chemical are your essential magnesia mineral source, assuring consistent quality, technical expertise, and long term reliable supply. To own and maintain USA-based production from mineral to final product; ensuring reliability of supply, quality control, and cost-effectiveness. To set a standard-of-excellence in client experience through our responsiveness, technical expertise, and innovative solutions. To be advocates for magnesia as a natural mineral that is safe, reliable, and adds value to numerous product applications in multiple industries. Magnesia-based product chemistries are Generally-Recognized-As-Safe (GRAS) and non-hazardous, offering environmentally responsible solutions to complex problems. In 1808, Sir Humphrey Davy first isolated several of the alkaline earth metals, naming them after their oxides as barium, strontium, calcium, and magnesium. Davy derived the term 'magnesium' from the common name for magnesium oxide: magnesia. Magnesium is the 8th most abundant compound in the earth's crust, and the 11th most abundant element in the human body. Magnesia is considered a 'universal neutralizer', which makes it ideal for applications where pH control is essential for safety and treatment, such as in environmental, industrial, and spill response applications. Magnesium oxide is an essential nutrient in many animal feeds for providing mineral nutrition for digestive health and well-being. Discovered in Epsom, England, magnesium sulfate heptahydrate (aka Epsom Salt) has been used as a therapeutic / soaking treatment for aching muscles and joints for over 300 years.